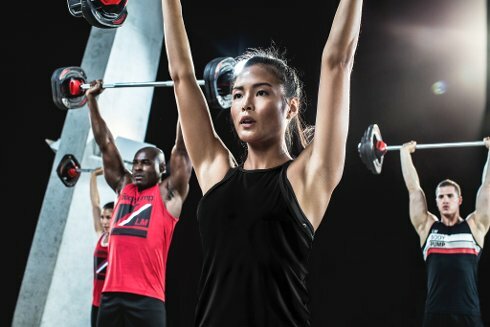 BODYPUMP™, the original LES MILLS™ barbell class, will sculpt, tone and strengthen your entire body, fast! Great bodies aren't born, they are transformed, using the proven BODYPUMP™ formula: THE REP EFFECT™ a breakthrough in resistance workout training. Focusing on low weight loads and high repetition movements, you'll burn fat, gain strength and quickly produce lean body muscle conditioning. This is the ultimate resistance class using barbells and free weights to tone and condition your muscles. Resistance classes help strengthen bones and improve joint integrity. A fantastic way to get in shape.